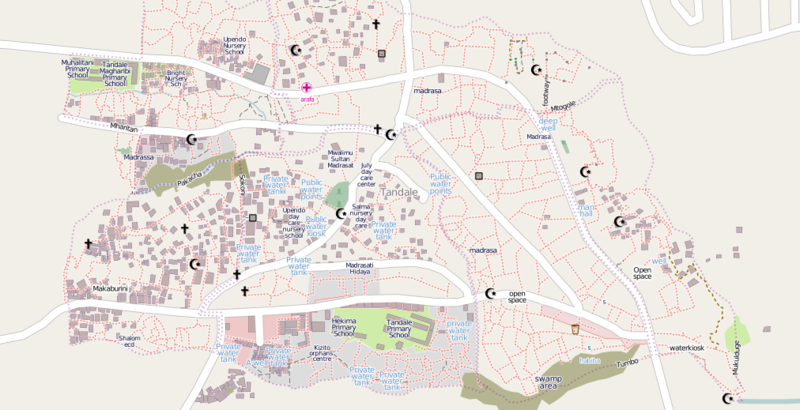 OpenStreetMap is a great alternative to Google Maps – community developed and maintained, and the data are freely available for use in your own mapping projects. Good recent discussion about OSM and GMaps on GIS.Stackexchange. Editing is far more straightforward, particularly with a large area that is previously unmapped, or (worse yet) badly mapped. JOSM, QGIS and other tools let you update large areas, correct or add data in bulk. 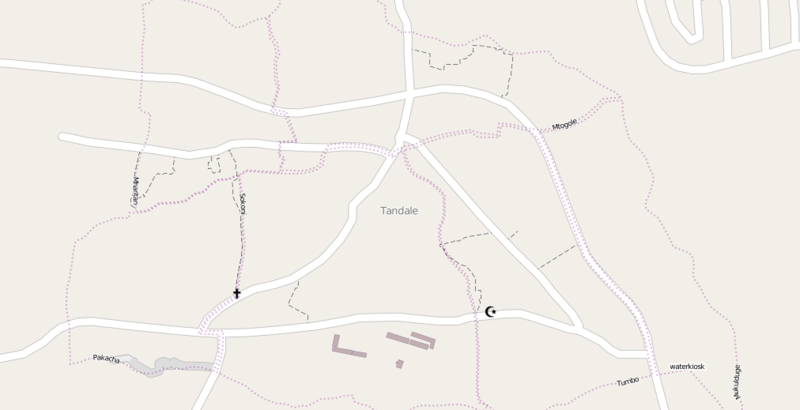 Working on areas here in Tanzania that are poorly covered by OSM and Google (click links to see example of same area), OSM is far, far better for editing. With this comes better access to data for offline mapping. While both APIs give you great access to maps (and Google’s gives you more options and are prettier), OSM can be downloaded monthly for any area of interest. Google’s given us access to road data (shapefiles) for Tanzania before but it takes time. (1) in particular has been annoying recently. I have battled with Google editors for approval of known bad data, or not had my GPS-derived roads approved because it doesn’t match with the 8-year old satellite data! The Google editors who approve changes to the Mapmaker data don’t have any ground experience in the local areas you might edit, relying on what they can see in the GMaps satellite layer. I doubt you could do anything like that, in that amount of time, with Google Maps. Great job! This is similar to the tracker TZGISUG is trialling for Parthenium hysterophorus.